Uftring Auto Blog: Jaguar XJ, Nissan Juke & Happy 4th of July Peoria! Jaguar XJ, Nissan Juke & Happy 4th of July Peoria! There are so many dealerships here in the Uftring Auto Group that it can be tough to keep up with all of the new vehicles being released and announced. We're not complaining though, there are some great vehicles being released with more heavy hitters arriving throughout the fall. If you haven't done so already, you should check out our Jaguar dealership site. We've got new information up about the 2011 Jaguar XJ and its variants, and we also have three new 2011 Jaguar XJs in our inventory. This car is leading the charge in an exciting and bold new design direction for Jaguar. It's a huge departure from their previous work and it looks fantastic. 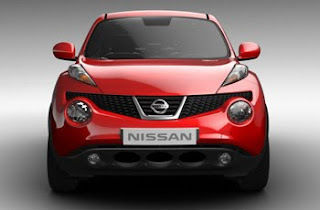 Speaking of bold new directions, the Nissan Juke will be coming this fall. Think of an SUV coupled with a sports coupe. It's got a killer look to it that really sets it apart from anything else on the road. This is an extremely cool crossover vehicle and you'll be able to see it at Uftring Nissan in October. It's a hot vehicle and we can't wait to drive it and offer you the chance to do the same. Check out our Nissan Juke info page for more details and pictures. Back at the Jaguar Land Rover site, have a page up about the Land Rover LR2, which is a great SUV for the Peoria area and Illinois as a whole. It's a luxury SUV that you can afford, and make sure you take a look into our used LR2 models. In addition, we've posted our Jaguar Land Rover staff up on the website so that you can begin familiarizing yourself with them. They're a great group of people who are top notch and passionate about what they do. We here at the Uftring Auto Group hope that you have a happy, fun, and safe 4th of July weekend. Hooray for freedom! Drive safely this weekend in Peoria, or wherever you go in Illinois and beyond.